Rabha is one of the important tribe of Assam largely concentrated in Gwalpada district of Assam. They are also found in the bordering areas in close conjunction with the West Garo Hills District of Meghalaya. Traditionally, Rabha house is long and elongated bamboo dominated structure constructed on a rectangular plan on raised plinth of earth. The house is thatched with local grass which is available in their surroundings. These long wild grass is available in a long stretch of growth extending to the hill ranges of West Garo Hills in Meghalaya. Rabhas are known for their unique skill of hunting, trapping and fishing activities. Traditional material cultures of the Rabhas are mostly dominated by the bamboo and wooden items. They use different varieties of bamboo species and local wood to meet their livelihood. Most of their household utilities, agricultural tools, looms, hunting and trapping implements and utensils are made of bamboo and wood. Most of the Rabha villages in this region are now easily approachable. Inter village pacca roads are moving their villages with electricity, small markets and communication towers. The new generations are coming up in the mainstream and take part in the development process of the State. Their simple household utilities and material items are gradually replacing with market and branded products. The present article is an attempt to touch upon some of the interesting collections made by the Indira Gandhi Rashtriya Manav Sangrahalaya, during Museum field work held in the year 2011. Locally called Manchalenga, this ceremonial prop is used at the time of performing Farkanti (a ritual ceremony performed in memory of the dead). 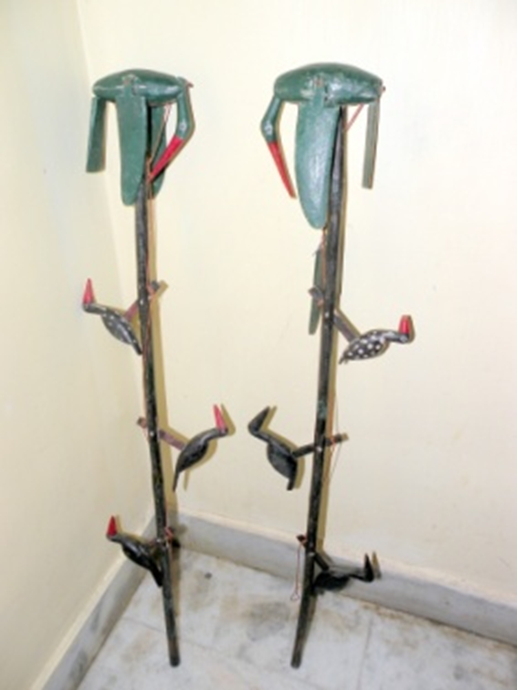 Manchalenga is beautifully designed with wooden images of birds fixed on a bamboo stick vertically. The wings and feet of these birds are tied with strings in a manner that it can be played at the time of performing Farkanti dance. Bird on the top represents Goose, while other two at one side represents Woodpecker. A single bird in the middle on either side of the prop represents the Kingfisher. Rabha believe in the existence of souls and these souls are liberal. According to the Rabha belief, ‘souls can fly high up in the sky like a swine and live a heavenly life. They can take shelter on this earth in a safe place like a Woodpecker’s nest and they can also be swift enough like a Kingfisher to find food from under water’. Now a days, Manchalenga as a dancing prop is used by the Rabha dancers who perform Farkanti dance on stage performances. 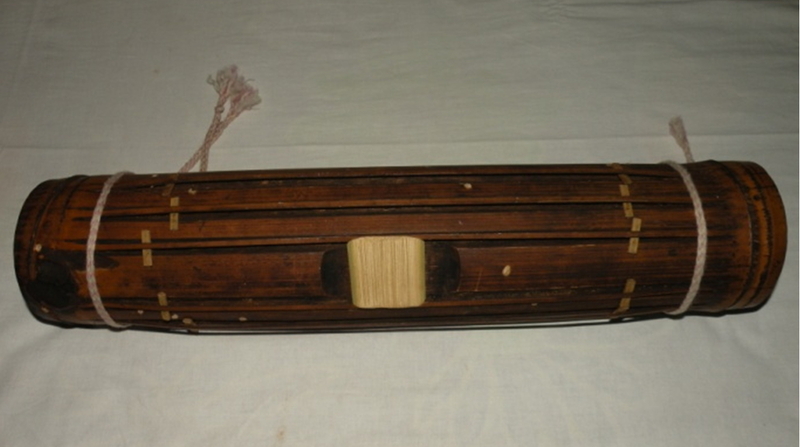 Bamboo made musical instrument of the Rabha tribe used at the time of performing Farkanti dance. The instrument is prepared from a tube of bamboo cut at the close ends of two inter nodes. The beating surface has three/ four strings prepared by splitting up of the layer that runs across the length of the body. These strings are held with small pegs on each side to stretch the string according to the desirable note. A small cavity is notched up at the center where a thin split of flattened bamboo is fixed to function as resonator. Obtained locally from a gourd species popularly known as the bottle gourd, this naturally shaped ladle reserves a special place in the socio-religious life of the Rabha people. This dry gourd spoon used for serving Choko (a locally brewed rice beer) is known as Brek in Rabha language. Made out of a kind of soft mud called hapchi, this beautiful earthen container called Teick/ Tikhar is used as a container for fermenting rice beer (Choko). For any kind of ceremonies, rituals choko is an indispensable item among the Rabhas. The beer made from rice is fermented in this kind of special earthen pot. Decorative and concentric form of two circular ring like appearance around the lower side on the neck of the pot symbolises its speciality. It marks the necklace of the pot which suggests that the pot is specially meant for the prosperity and healthy life of the family and the community. This kind of pot is kept in cool places inside the house and it rests upon Pesta (pot-rest) generally made of straw. Janthi is used for straining and filtering Choko. 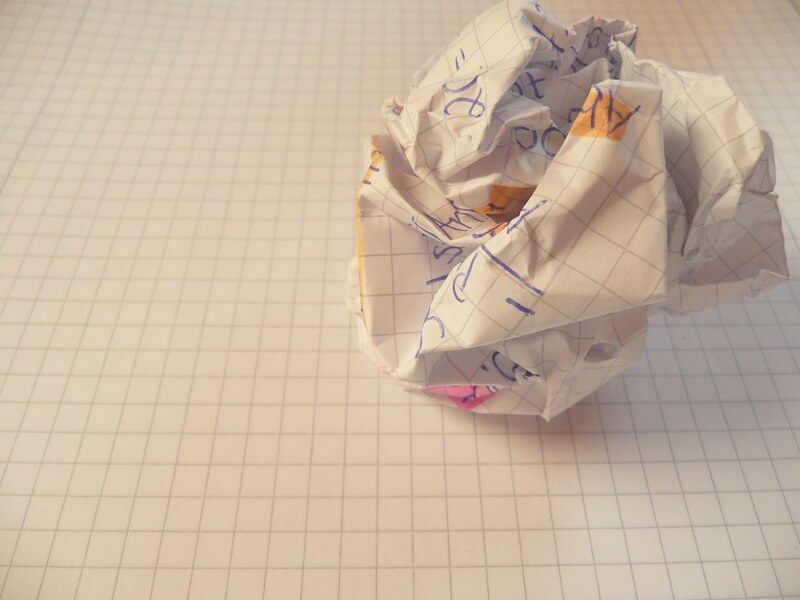 This is a large size basket with tightly reinforced rim and body structure. It is tightly woven sometimes in two layer and mainly used for the purpose of keeping clothes and valuables. Traditionally, this kind of baskets are prepared with lid which can tightly lidded to protect the items kept inside the basket. It is traditionally covered or tightly lidded with cloth over the rim. Singa is a traditional wind instrument of the Rabha tribe used during ceremonial occasions. This trumpet like musical instrument is uniquely designed and shaped with the body slightly tapering to the side of blowing end. The tapering is done with gradual reinforcement of cane-twisted rings of four different sizes under which thick bamboo-splits are beautifully adjusted. It is also used as an indication to mark the communication among the companions of the villages at the time of fishing activity done collectively by the villagers. Long trumpet used by the Rabha tribe with single blowing end and multiple mouth. This wind instrument is played only by the one who held specialised about the use of this instrument in Rabha society. A hanging element used for keeping meal. The frame is prepared with thick bamboo splits in such a fashion that it forms a shape of a triangle. The edges or angles of each joints in this frame are ingeniously clubbed together with splinted ends and three ropes/ slings uniform length are fastened from each corners as suspension element. This simple frame is induced with a very effective knowledge and traditional wisdom. It is used for keeping properly covered dish or plate of meal by suspending from the hanging platform or from the attic of the house so that cats or other rodents may not reach the food.